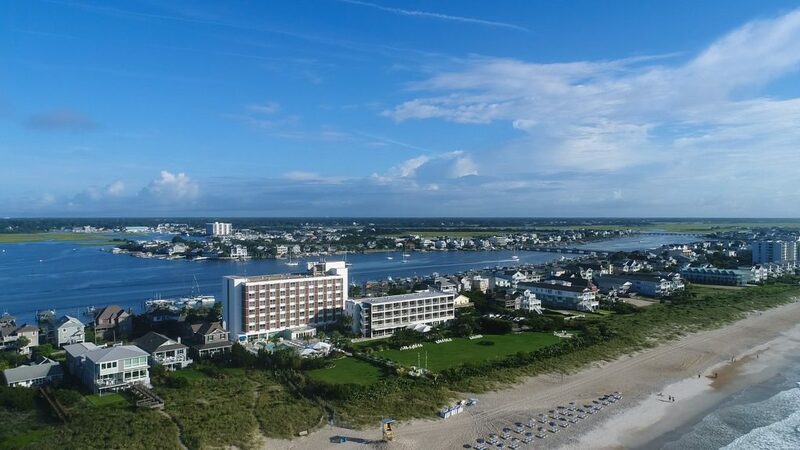 WRIGHTSVILLE BEACH, NORTH CAROLINA – Blockade Runner Beach Resort, a historic landmark and oceanfront icon of North Carolina for 55 years, announced it will reopen in time for Valentine’s Weekend. Blockade Runner closed in September to repair substantial damages sustained from Hurricane Florence. “The hurricane losses at Blockade Runner are in three categories: the damage to our buildings and property, estimated to be five million dollars; content loss, approximately two million; and loss of business during repairs, approximately two million. The total loss will be close to ten million dollars. As you would expect, Blockade Runner was insured,” said Bill Baggett. All spring and summer events at Wrightsville Beach supported by Blockade Runner will continue as usual. These include: Valentine’s and Easter weekends; the New Hanover Regional Medical Center Marathon Madness weekend (Mar 8-9); US Open Fat Bike Beach Championship presented by Alpha Mortgage (Mar 22-24); the Carolina Cup, presented by Surftech (April 24-28); Charity Surf Camps by Indo Jax (May-Sept 2019); Wahine Classic, O’Neil Sweetwater Pro-Am Surf Fest, and Surfers Healing (Aug 2019).